As an Apple specialist tech integrator, many of our implementations center on Apple products because of their reliability and ease of use. We provide a very highly qualified and personalized Apple support experience to a handful of international clients. We help formulate strategic IT goals, analyze and rework business processes and facilitate technology changes. We work with you and your IT systems to meet your business objectives. 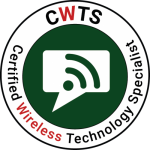 Certified Wireless Technology Specialist provides enterprise grade indoor and outdoor networking for residences and small businesses. We design discreet, Apple-friendly and intelligent control, surveillance, and access systems for residences and small businesses. We help businesses engage the marketplace with highly functional and attractive websites and work closely with creatives to collaborate, develop, and organize content and build platforms, web systems, and momentum for extending their reach. Thanks so much for your help! I am enjoying the new BusyCal…it’s so easy! And the SpamSieve spam filter works incredibly well. Also, I purchased the phone mount you recommended and I love it, it works great. Chris, you are the Best Tech Wrangler in the WEST!!! Chris guided me through a flawless PC to Mac conversion. Chris carefully listened to my concerns, reviewed them for clarity, and implemented a complete solution. His refreshing approach is relaxed and a relief from tech-y jargon. He truly cares about making my life easier, and now I have more time. Our household and small art-based businesses have used Convenient Integration for several years with everything from equipment upgrades and data transfers to operating system and network issues. Each time he has come through for us quickly, courteously and expertly. I trust Chris to give me advice I can rely on and to treat me with respect. He’s my go-to guy when I need a simple question asked or a big issue addressed. I’ve been using Macs since 1990 and have used a lot of different Mac consultants. Chris is the best by far. I wish I had found him a lot earlier. I wouldn’t hesitate to recommend him to anyone seeking solutions to their Mac problems. We feel so fortunate that we found Chris with Convenient Integration to guide us through the technical world of computers. His company name says it all. He “conveniently integrated” all parts of our business technology systems, unifying our office to operate at maximum efficiency. He has been indispensable to the daily operation of our hectic business. We know that our technical issues are in very capable hands and we trust him explicitly. We are so glad Chris is part of our lives. We highly recommend him to friends and fellow business owners. Chris, my goodness, I APPRECIATE you so much, as it’s very evident you care about people and have such helpful information to share. I had to tell you that you are way beyond a “tech wrangler” in my book! It’s just so wonderful to learn about technology and the other ideas you’ve shared to make it all a cohesive, enjoyable experience. You’ve helped us more than we could have possibly imagined (we are THRILLED!) and we couldn’t give you a higher recommendation. – Raab & Raab, Inc.
Chris’s knack for technology has benefitted me for many years. He oversaw my security system installation and integrated it to meet multiple goals. He’s my trusted go-to source for all things technical and I continue to rely on him for our “Mac Genius” questions but also for comprehensive technical assessment and advice. What a remarkable service you’ve been, saving those thousands of files from machines we had given up as lost…thank you! We’re deeply impressed by your skills and your creative solutions to the many problems that arose, and with your clear Executive Summary when the job was done. From our experience with Convenient Integration, we’ll recommend you and your company in the highest possible terms. Thank you! I cannot recommend Convenient Integration enough. I am in New York and they are on the other side of the country and still helped me and provided exactly what I needed when I needed it. We had three consultants here for a security system that told me I could not do what I wanted with Apple products. I’m not sure how I found Convenient Integration- I think via Apple but not sure- and well they proved the others wrong. I have a great system that we use each and every day. Thank you Chris! I’ve never met you in person but your results speak for themselves. Chris helped me move over from Windows to Mac, getting me up to speed with iTunes and iPod on the Mac and so on. On more than one occasion I have been “dead in the water” and he’s been able to figure out what’s wrong and solve computer issues over the phone– and he’s got me going again. He’s helped me with Gmail, he straightened out some DirecTV headaches and Bluetooth syncing between my phone and truck nav system, etc. Chris is an all around tech genius and I’m glad! It worked of course! Just as you said, the photos were found. THANK YOU! I am feeling GREAT! I have to tell you, this is a major step to getting things accomplished without having to wait for my son to get home from school! You are the ONLY person who has ever spoken to me in computer language I understand. It’s really a talent. Have you ever considered teaching a course? Thanks, Chris, you are the best! Convenient Integration has saved me from worries and the stress of losing enormous amounts of work– even when I’m the one who made a user error! Chris is always courteous and willing to do what it takes to meet my needs. I can ask some pretty basic questions and he fields them all with patience. He is a good listener. 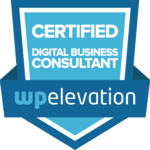 Convenient Integration is a greatly helpful resource and I cannot recommend the “tech wrangling” service highly enough.